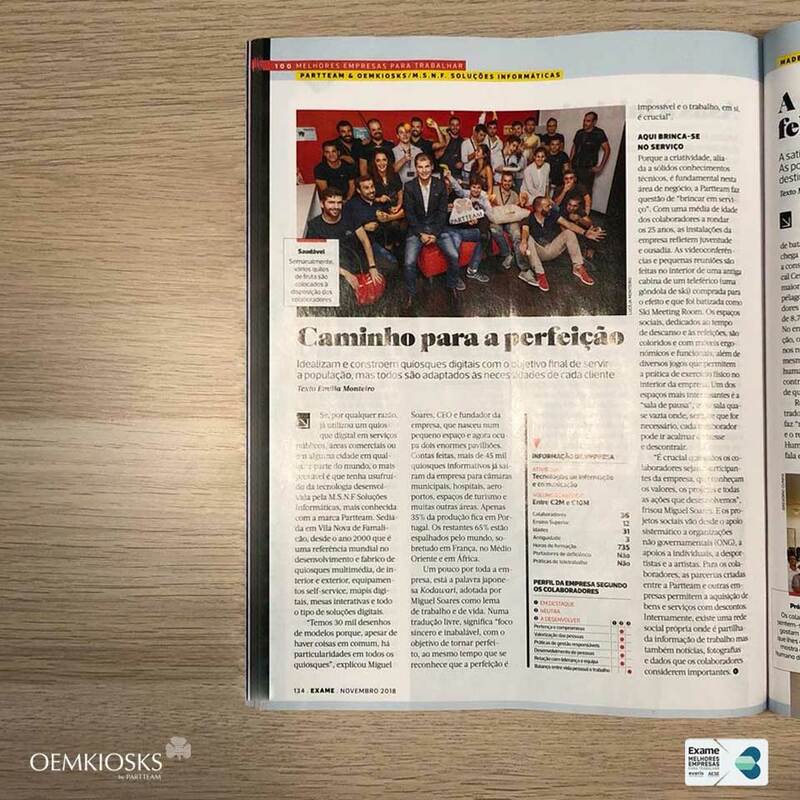 It is now officially recognized that PARTTEAM & OEMKIOSKS is one of the 100 Best Companies to Work in Portugal. 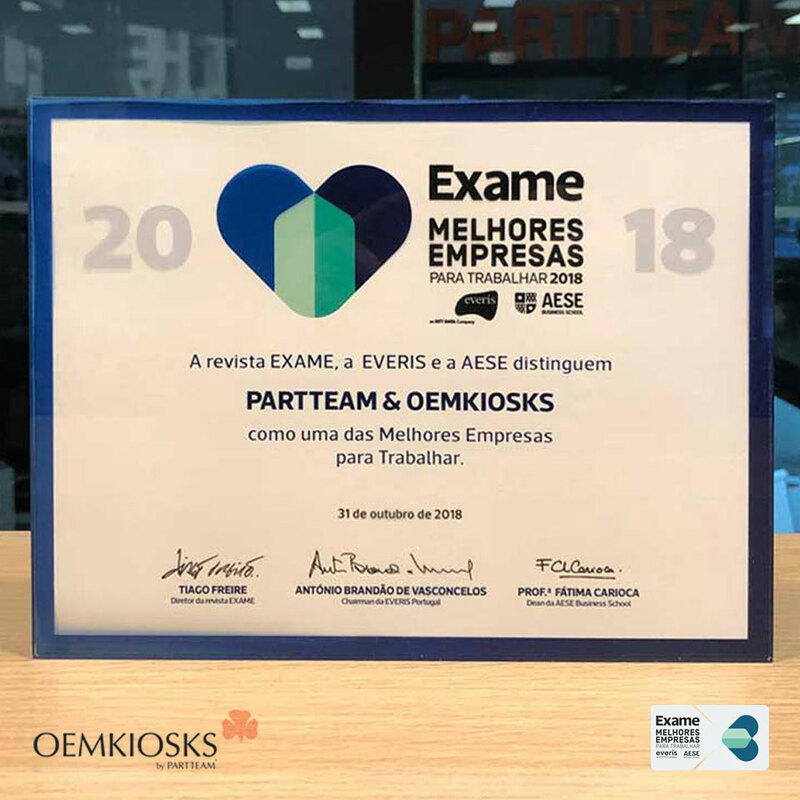 After a long process of application and analysis by the responsible entities, it is with great pride that the company PARTTEAM & OEMKIOSKS receives this important public recognition, which congratulates all the dedication and commitment that the company and employees have applied in this sense. 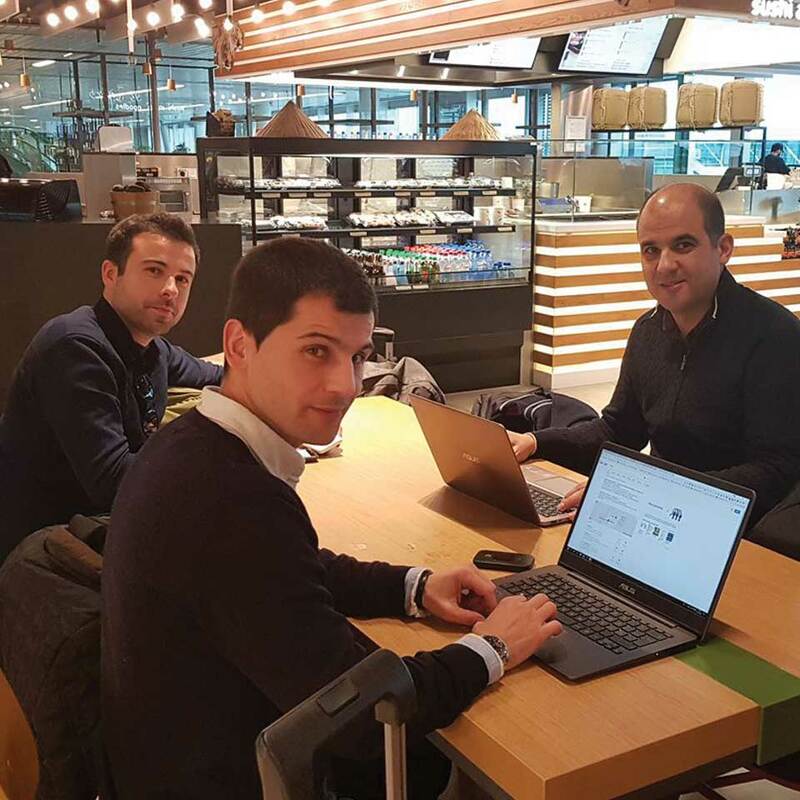 The values ​​of PARTTEAM & OEMKIOSKS far exceed internal actions, and a sign of this is the various support and incentives for social and individual projects, which support artists, sportsmen and non-governmental organizations, for a more correct and beneficial society for all. 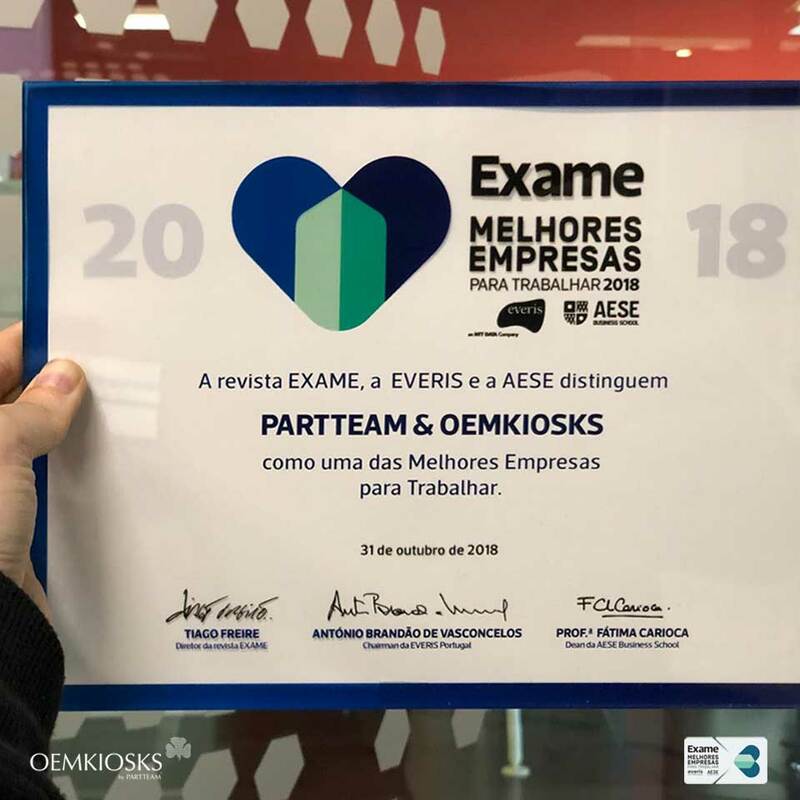 The election of Best Companies to Work, is an initiative developed by EXAME magazine, in partnership with everis consultancy and AESE Business School. 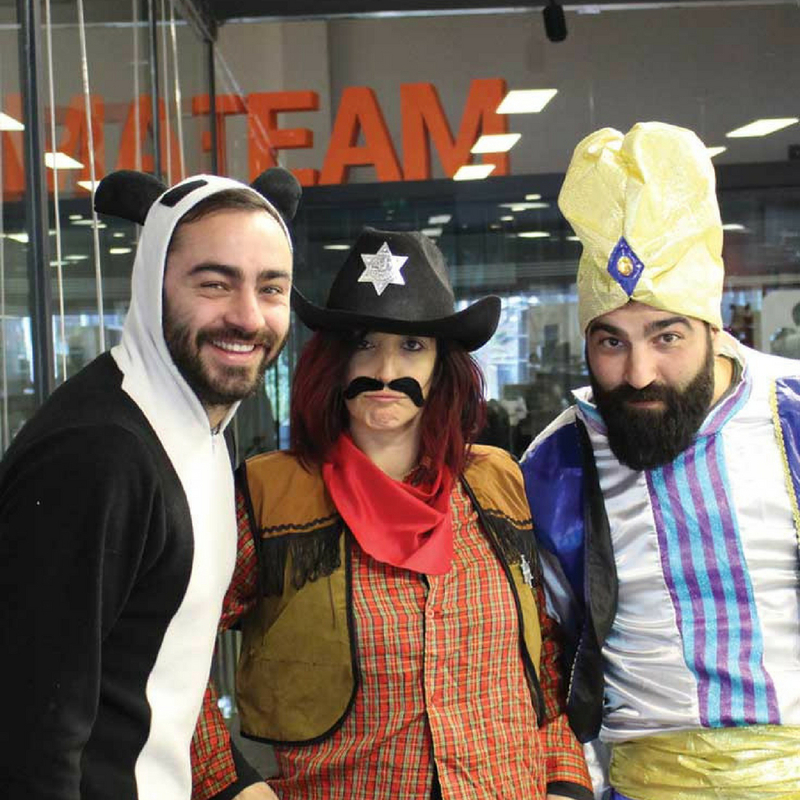 "Because creativity, combined with solid technical knowledge, is fundamental in this area of ​​business, PARTTEAM & OEMKIOSKS makes a point of "playing on the job". 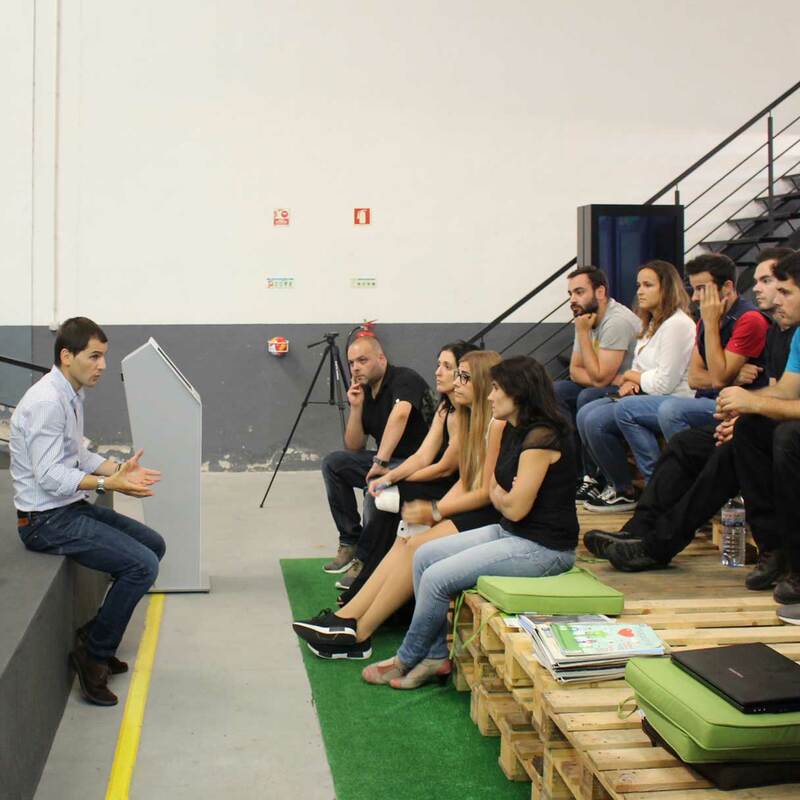 With an average age of employees around 25, the company's facilities reflect youth and daring. The videoconferences and small meetings are made inside an old cabin of a cable car, baptized like “Ski Meeting Room”. 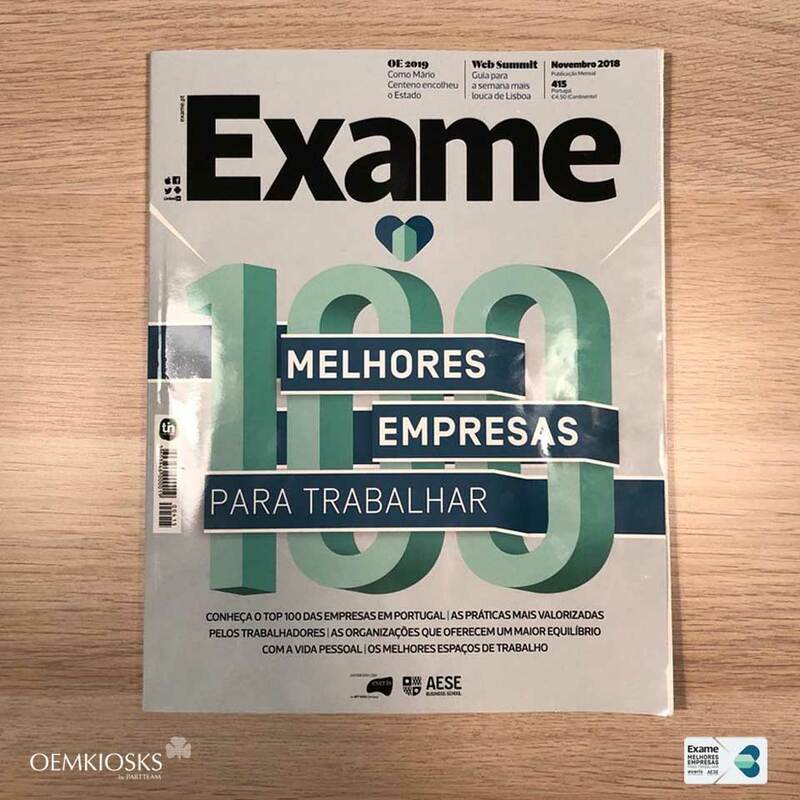 The social spaces, dedicated to the time of rest and meals, are colorful and with ergonomic and functional furniture, as well as several games that allow the practice of physical exercise inside the company ... "
Read all the news in the magazine EXAME nº415, of November 2018.